Validate that you’re a true Pokemon Master with your very own set of Gym Badges! Available in all regions from Kanto to Kalos, collect ’em all and flaunt your trophies as you brag that you’re the most powerful trainer in the world. Defend your precious device against bumps and scratches by utilizing Totoro’s protective and soft body! Totoro’s tummy also doubles up as a handy kangaroo-style pouch for storing your earbuds and other accessories. This officially licensed plush from Studio Ghibli’s Ponyo features an adorable design based on the magical little fish from the animated film we all know and love! Just needs to be fed the occasional slice of ham in order to be kept happy! Any anime fan can instantly recognize these expression symbols! 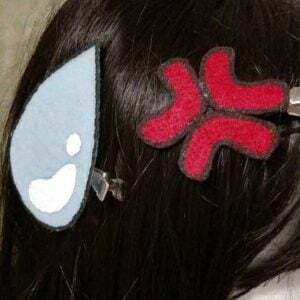 An angry vein or sweat drop hair clip can make the ideal hair accessory, especially if you’re usually an angry or nervous type of character. Gather forth the seven Dragon Balls and summon the immortal dragon Shenron to grant the wish of eternal clean hands. Or simply wish to bring Krillin back to life again! These Dragon Ball soaps are not only decorative, but functional as well. 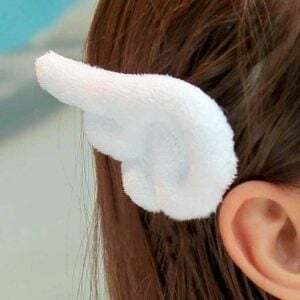 Become a real life Magical Girl when you highlight any ordinary hair style with a pair of these adorable wing hair clips! These cute and fluffy clips make the ultimate hair accessory for any Cardcaptor Sakura fangirl. Have Snorlax’s warm belly keep you warm during cold nights with this handmade hot water bottle cover! Made from soft and warm fleece, this unique cover has an easy refill opening in the back. Great for Pokemon fan’s with chilly feet! Make the rainy season a little more enjoyable with your friendly neighbor, Totoro! Available in pink, red and blue colors, once you pop open this umbrella Totoro will be ready to watch over you, keeping you dry in the rain. This adorable rubber stamp set features your favorite protagonists from the ice skating anime everybody loves, Yuri on Ice! This set includes Yuri Katsuki, Viktor Nikiforov and Yuri Plisetsky’s chibis rubber stamps.